New York, N.Y. – The $30,000 Rea Award for the Short Story winner is T. C. BOYLE. T.C. Boyle is a genuine American original. In more than one hundred short stories and ten story collections (plus fifteen novels), Tom Boyle has furnished his own highly public and deluxe corner of contemporary American letters. His stories fairly glitter with imagination, an immense variety, hilarity, ambition and achieved talent. To his enduring credit and his readers’ delight and amaze, less is not in the Boyle fictive vocabulary, though in his stories’ dedication to matters of the heart and the human spirit, his finely tuned wit and his vision of our sometimes sad American fate have nothing of the cynical or the hopeless. His incomparable stories, even in their occasional dark interludes, always comes to us as a celebration. They redeem us and delight us and awaken our awareness as the finest writing should. T. Coraghessan Boyle has authored more than one hundred short stories and fifteen novels. His story collections include Stories II, The Collected Stories of T. C. Boyle; Wild Child; The Human Fly; Tooth and Claw; After the Plague; T. C. Boyle Stories which won the PEN/Malamud Award; Without a Hero; If the River Was Whiskey, winner of a PEN Center West Literary Prize; Greasy Lake; and Descent of Man, his first book. Five times honored in The O. Henry Prize Stories, Boyle has received numerous awards and honors. Water Music, Boyle’s first novel won France’s Prix Passion prize. He won the PEN/Faulkner award for his novel World’s End and the Prix Médicis Étranger for The Tortilla Curtain. He is a member of the American Academy of Arts and Letters. Boyle was the recipient of two National Endowment for the Arts Fellowships; a Guggenheim Fellowship; the Howard D. Vursell Memorial Award from the American Academy of Arts and Letters and the PEN/New England Henry David Thoreau Prize. In March of this year he was awarded the Robert Kirsch Award for Lifetime Achievement. His fifteenth novel, New York Times bestseller The Harder They Come, was just released in March 2015. 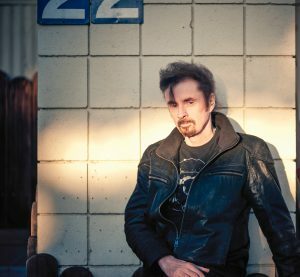 In addition to his published story collections, T. C. Boyle’s work has appeared five times in The Best American Short Stories and in numerous periodicals and anthologies including The Pushcart Prize, Granta, The Atlantic Monthly, The New Yorker, Harper’s and The Paris Review. T. C. Boyle’s books have been translated into twenty-five languages.